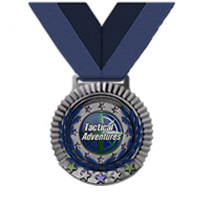 This is the highest meritorious award bestowed upon Tactical Adventures members. 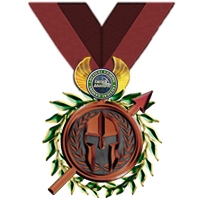 The Triumph of Honor Award is to a person who, while a member of Tactical Adventures, distinguishes him or herself by self-sacrifice so conspicuous as to clearly distinguish the individual above his o﻿r her comrades. Each recommendation for the award of this decoration will be considered on the standard of extraordinary merit and must be approved by Tactical Adventures Command prior to issuance. 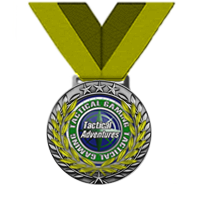 This is the second-highest meritorious award bestowed upon Tactical Adventures members. 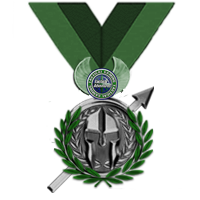 The Distinguished Service Medal is awarded to a person who, while serving in any capacity within Tactical Adventures, distinguishes him or herself by extraordinary dedication, on or off the competitive arena, but which does not justify the Triumph of Honor Award. The act or acts of dedication must have been so notable and have involved self-sacrifice so extraordinary as to set the individual apart from his or her comrades. 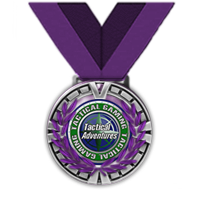 This award can be recommended by anyone, but must be approved by Tactical Adventures Command prior to issuance. The Crown of Honor Award is awarded to a person who, while serving in any capacity within Tactical Adventures, is cited for exceptional play while engaged in competition. The required exceptional play, while of a lesser degree than that required for award of the Distinguished Service Medal, must nevertheless have been performed with marked distinction. 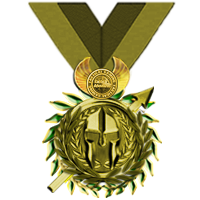 The Golden Chariot Award is awarded to any person who, while serving in any capacity within Tactical Adventures, distinguished him or herself on or off the competitive arena, by heroic or meritorious achievement or dedication. The required heroism or achievement, while of a lesser degree than that required for the Crown of Honor Award, must nevertheless have been performed with marked distinction. The Legion of Merit Award is given to an individual for exceptionally meritorious conduct in the performance of outstanding services and achievements. Performance of duties normal to the position, division, specialty or assignment, and experience of an individual is not an adequate basis for this award. Service should be in the nature of a special requirement or of an extremely difficult duty performed in an unprecedented and clearly exceptional manner. However, justification of the award may accrue by virtue of exceptionally meritorious service in a succession of important positions. The Medal of Excellence is awarded to recognize an individual who continuously displays consistent and reliable service within his or her Legion. While there is no specific time threshold to qualify for the Medal of Excellence, the Division Officer or Legion Officer shall ensure the service to be honored merits the special recognition afforded by this award. The principal requirement for this award is indisputable exemplary performance in all phases of communication, training, leadership, and competition. This award can be recommended by anyone, but must be approved by that Division's Army Commander prior to issuance. 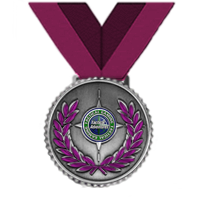 The Officer’s Award recognizes an individual’s exemplary behavior, efficiency, and fidelity in influencing the evolution, advancement, and well being of his or her Tactical Adventures Cohort in a positive manner, throughout a specified period of continuous active Tactical Adventures membership. Qualifying periods of service include each twelve months completed or, for first award only, a continuous period of six months. It is awarded by the member’s Cohort Commander in the name of the member’s Cohort. This award must be approved by the Legion Officer prior to issuance by the member's Cohort Commander. The Leadership Award recognizes an individual who has consistently displayed a conspicuous ability to lead in competition (or out), through efforts which are sustained, direct and of a consequential nature, and which directly contributed to the betterment of the individual’s Cohort. The individual’s acts of leadership must be sustained throughout a specified period of continuous active Tactical Gaming membership. The Instrumental Leaders Award recognizes two individuals’ exemplary behavior, efficiency, fidelity and leadership in directly influencing the success of their Section. It is awarded to the Section Leader and Section Assistant who were instrumental in contributing to his or her Section’s success, for a specified qualifying period of time, not less than one calendar month. To qualify for this award, the Individuals must have participated in a minimum of one half of his or her Section’s matches during the qualifying period of the award. This award must be approved by Tactical Adventures Command prior to issuance by the member's Legion Staff. The Distinguished Section Member Award recognizes an individual’s exemplary behavior, efficiency, and fidelity in directly influencing the success of his or her Section. It is awarded to the one Section Member who, as determined by his or her Section Leader and Section Assistant, was instrumental and/or most influential in contributing to his or her Section’s success, for a qualifying period of no less than one calendar month. To qualify, the Section Member must have participated in a minimum of one half of his or her Section’s matches during the qualifying period of the award. 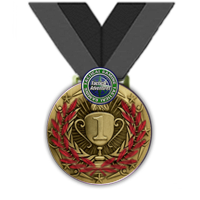 The Outstanding Section Achievement Award recognizes a Section that demonstrates indisputable and quantifiable exemplary performance in all aspects of matches. It is awarded to the one Section in each Tactical Adventures Cohort which has earned the best overall record in competitive clan matches against external opposition, for a specified period of time not less than one calendar month. 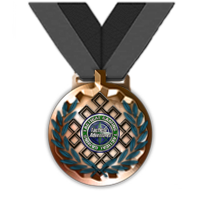 To qualify, each Section Member must have participated in a minimum of one half of his or her Section’s clan matches during the qualifying period of the award. The Achievement Award recognizes an individual who has consistently and continuously displayed improvement in all aspects of operations, training, and skills. The individual’s improvement must be sustained throughout a specified period of continuous active Tactical Gaming membership. The Good Conduct Medal is awarded to a member for exemplary behavior, efficiency, and fidelity in active Tactical Gaming membership. 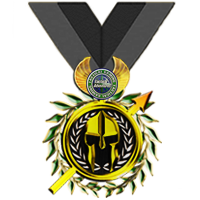 It is awarded on a selective basis to each member who distinguishes himself from among his or her fellow members by their exemplary conduct, efficiency, and fidelity throughout a specified period of continuous enlisted activity inside of Tactical Gaming. Qualifying periods of service include each six months of active duty completed with no derogatory warnings inside of the community. This award may not be issued to members that are currently serving as "On Leave" members.